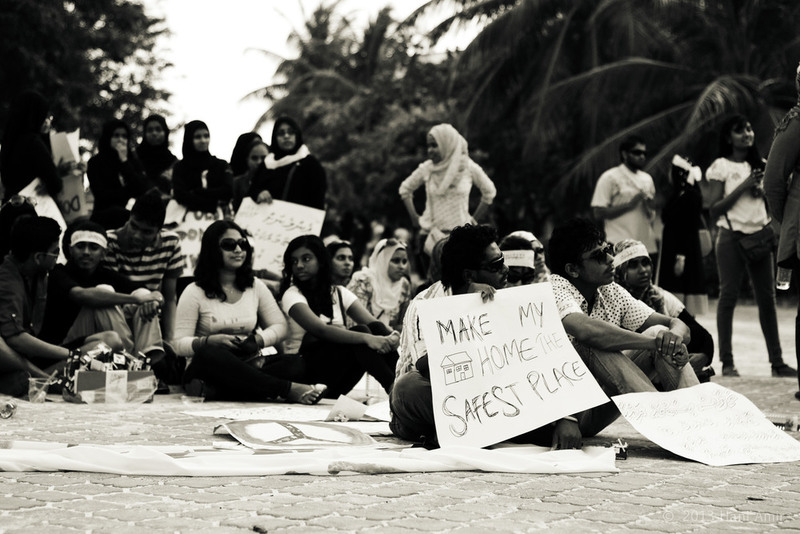 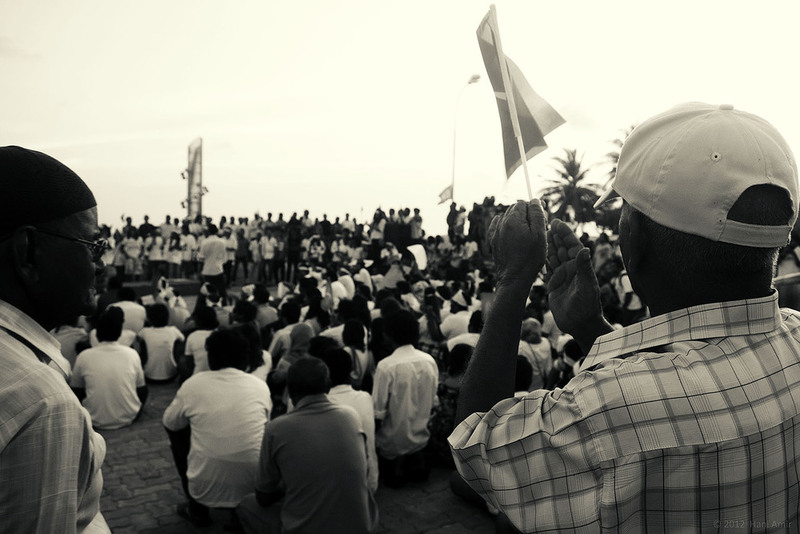 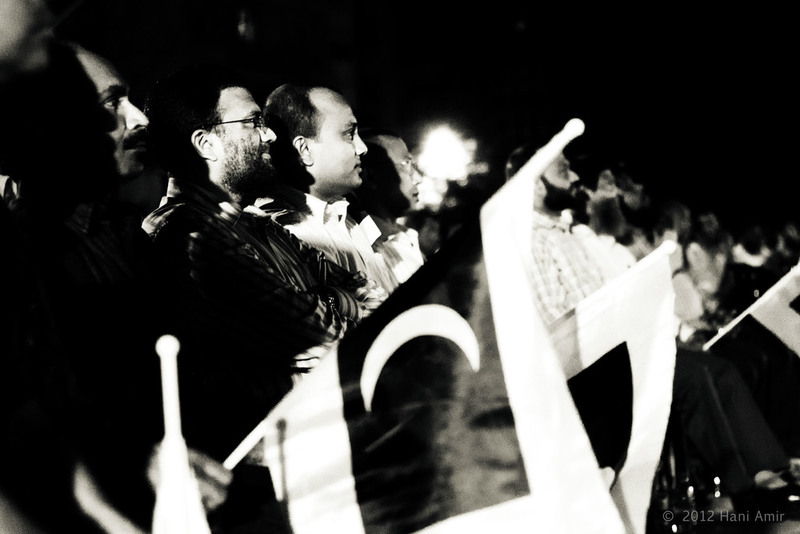 A gathering of the people of the Maldives against the recent violence, injustice & turmoil gripping the country. 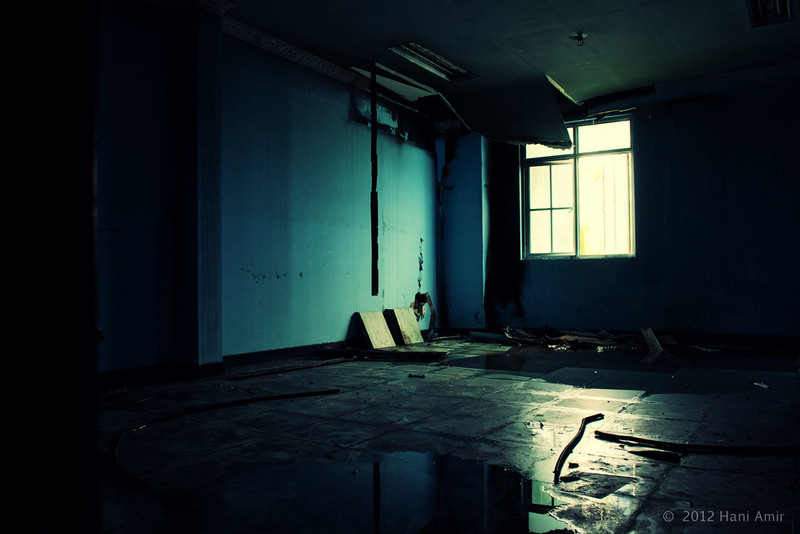 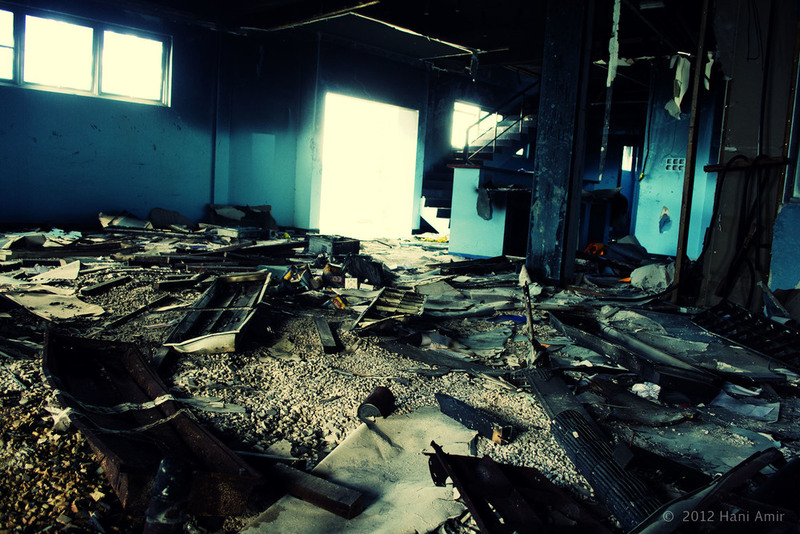 The building was set ablaze on the 8th of February 2012. 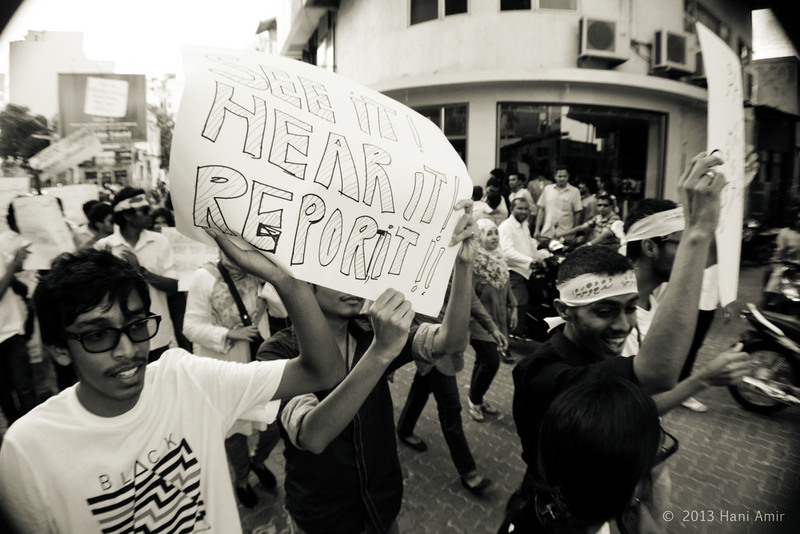 The events surrounding the matter are shady and the actual culprits are far from clear. 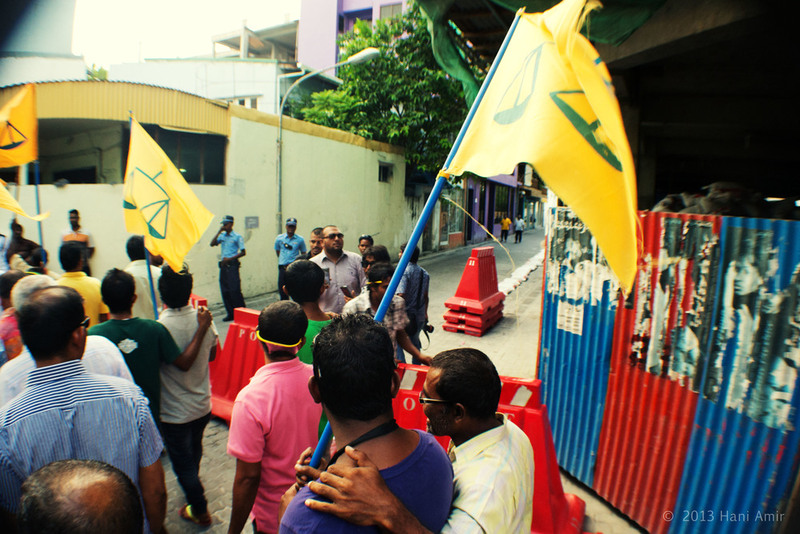 The police were quick to blame members of the MDP (Maldivian Democratic Party, whose president Mohamed Nasheed (Anni) had been removed from office the previous day). 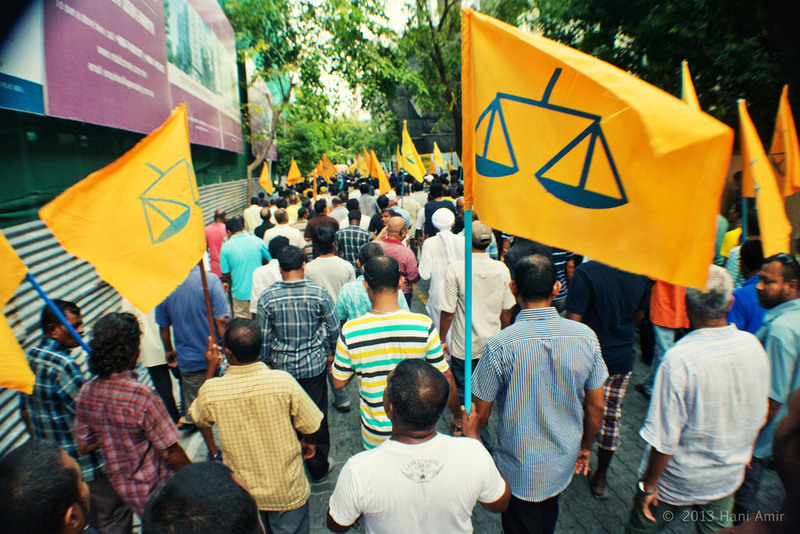 However many speculate that it may have been an inside job in order to justify the brutal acts carried out by riot police against people protesting the coup. 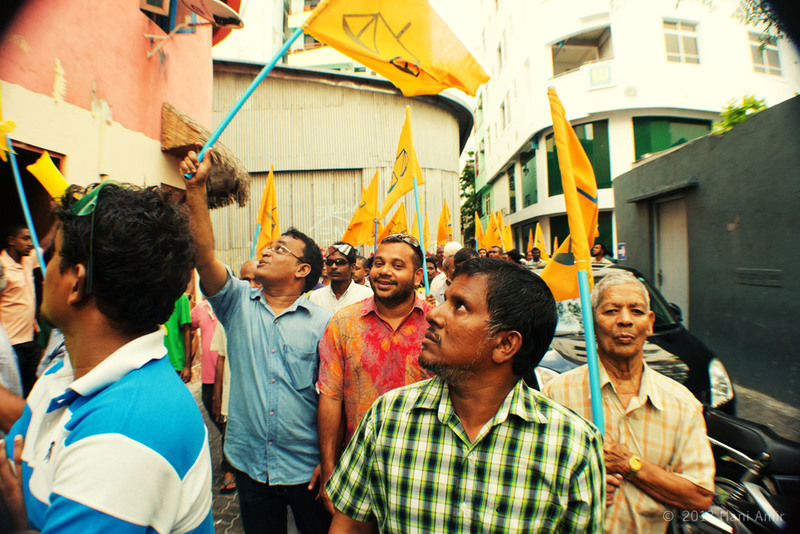 Photos taken on the 5th of December 2012. 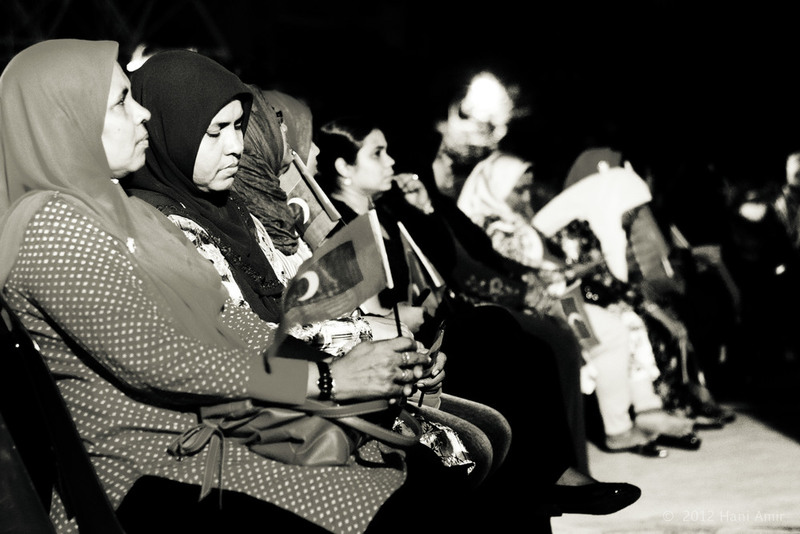 That night marked one year since the "23rd December Coalition" began its warpath against democracy and the people of the Maldives. 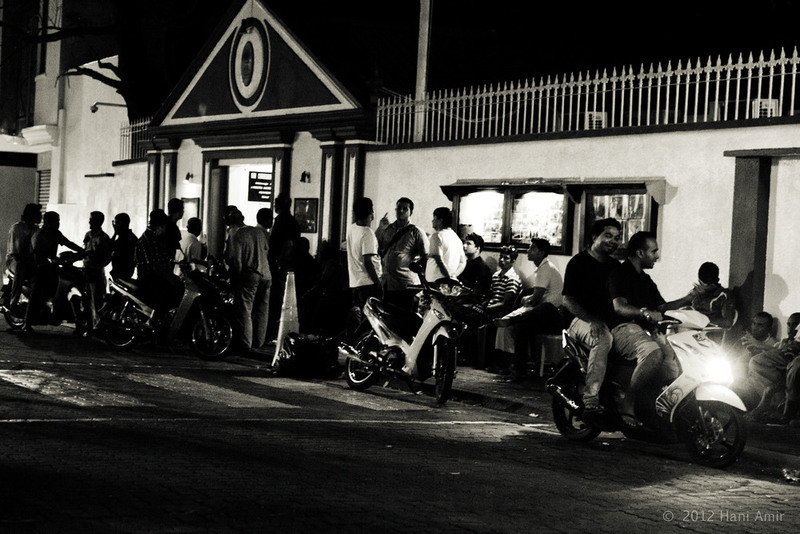 People queuing outside the Indian High Commision, a night in advance in hopes of getting Visas. 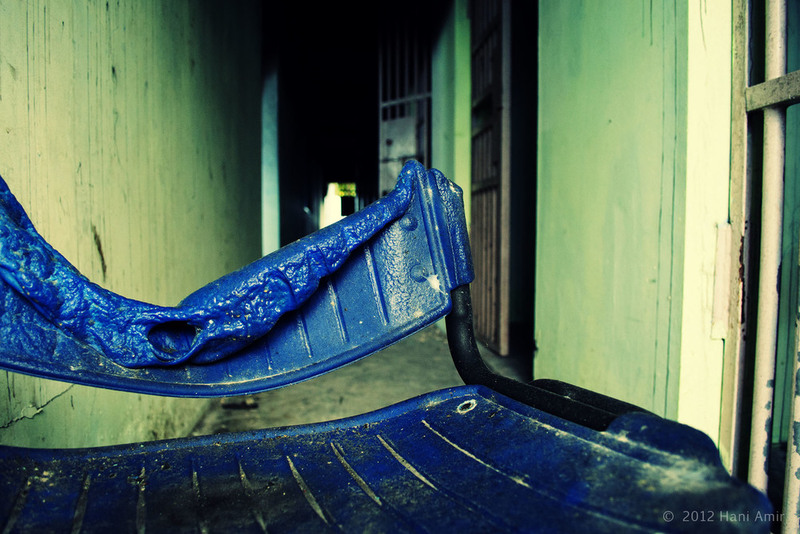 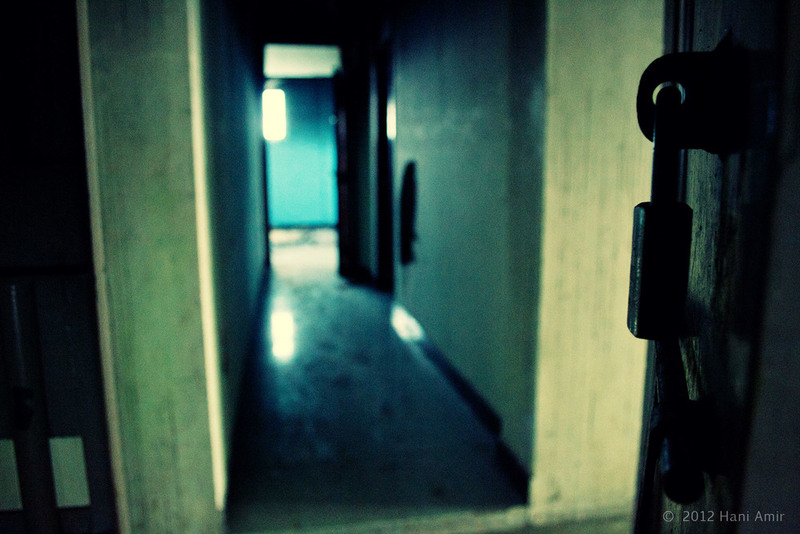 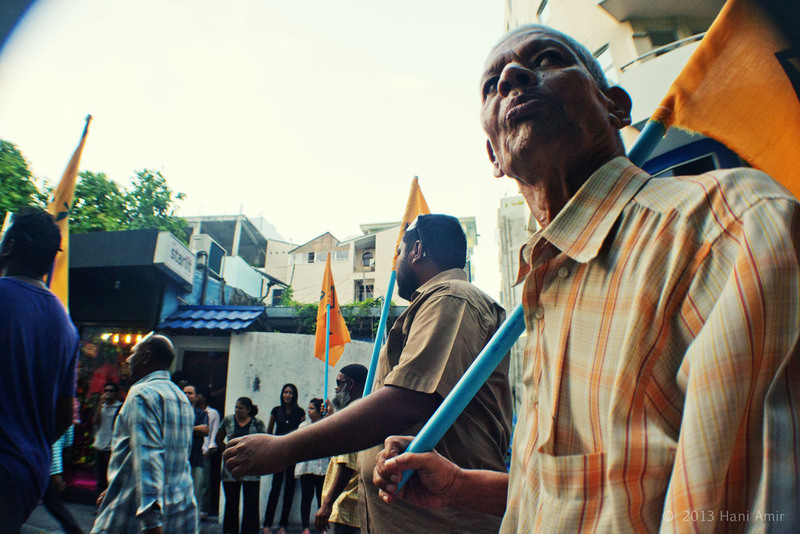 Relations between the Maldives and India have soured since the GMR scandal. 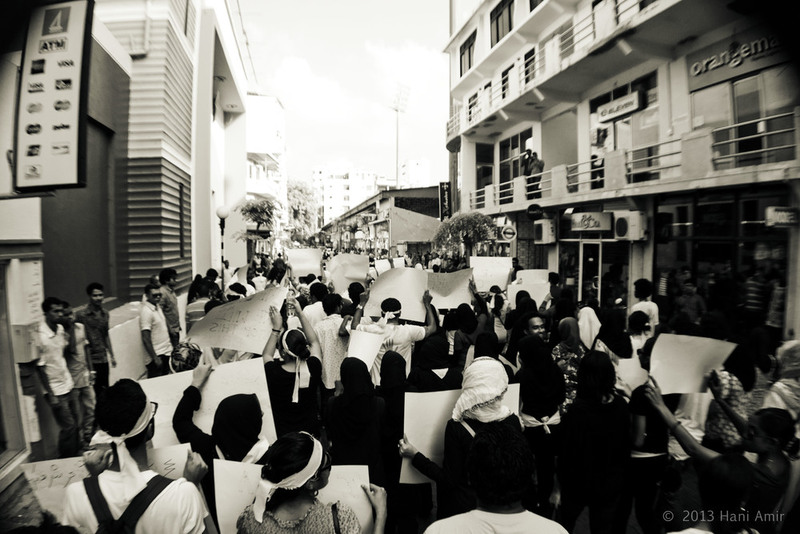 A protest rally organized by Huttuveyne Huttuvaanan (we can stop it, we will stop it) against abuse of all kinds. 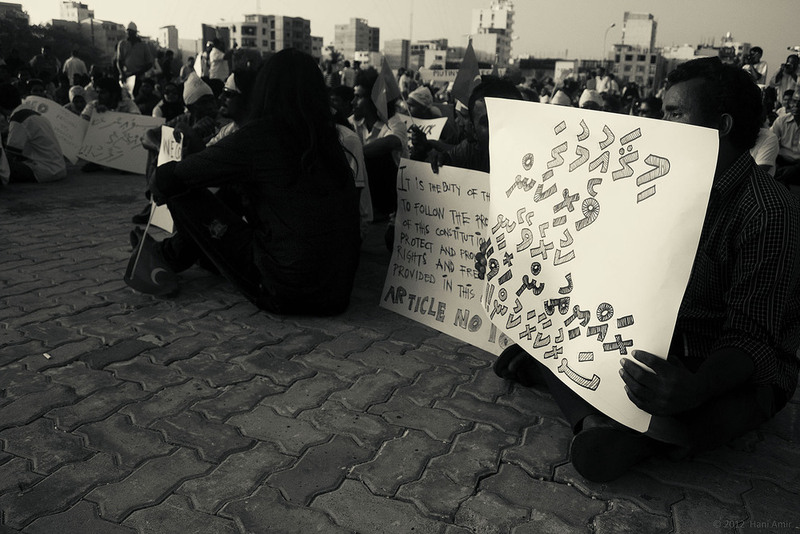 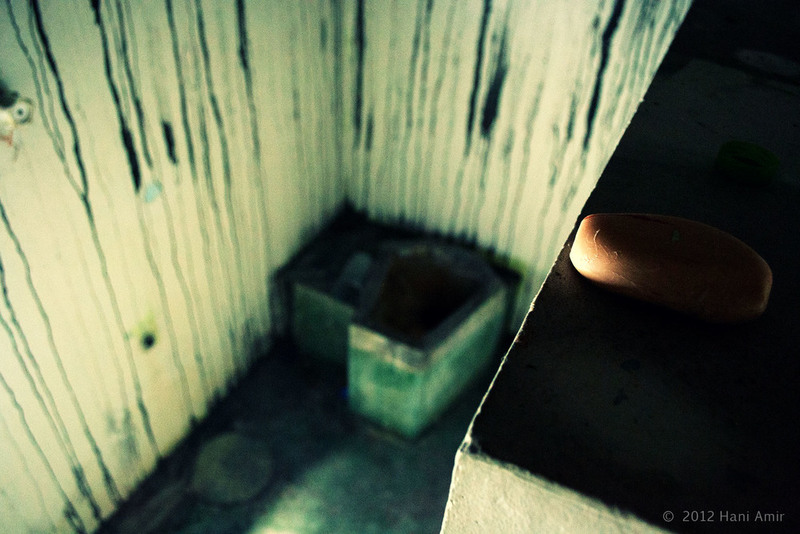 The organizers said it was born out of frustrations of much talk but little actual action about the rampant sexual abuse which has been occuring in the Maldives. 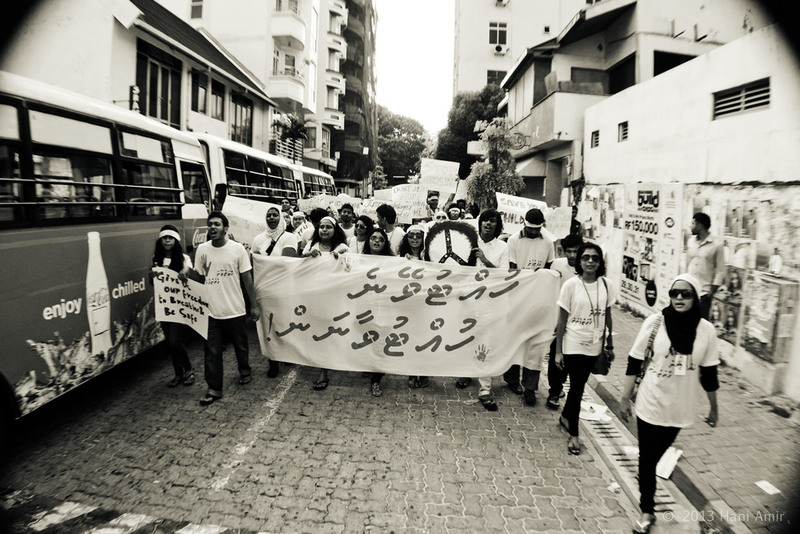 Mazin, the head of the Maldives Blind and Visual Impairment Society speaks out against abuse, especially that which occurs against the disabled. 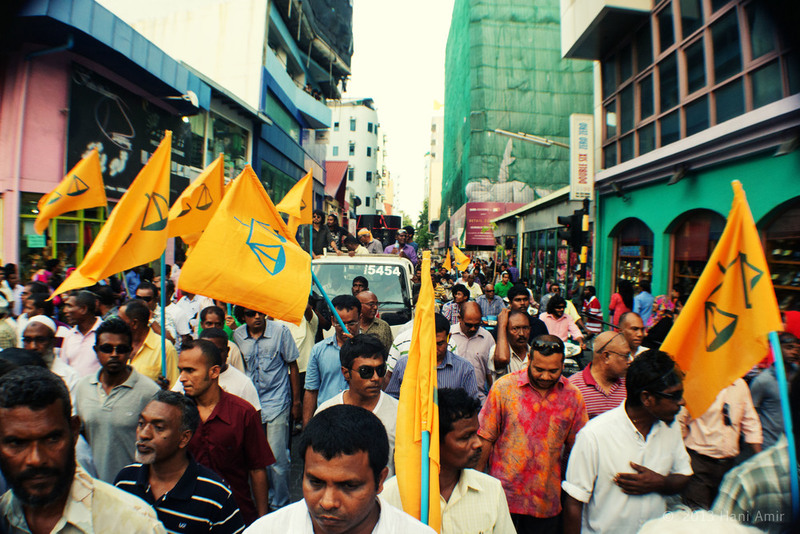 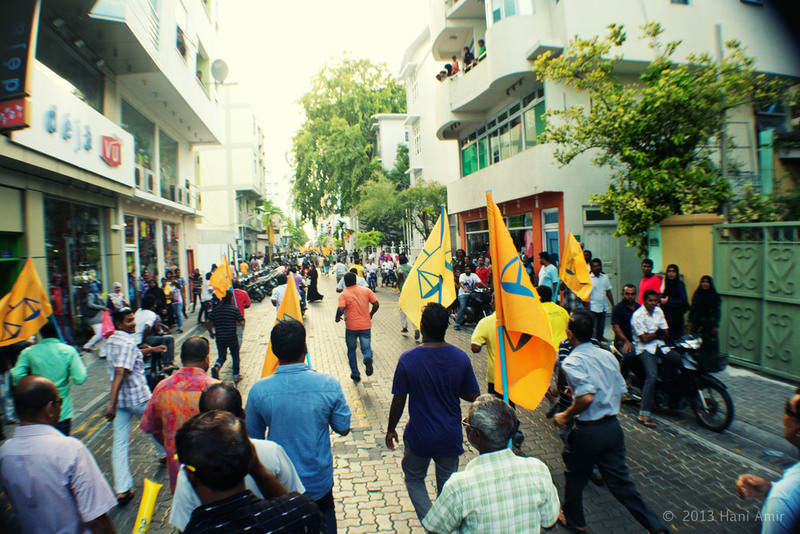 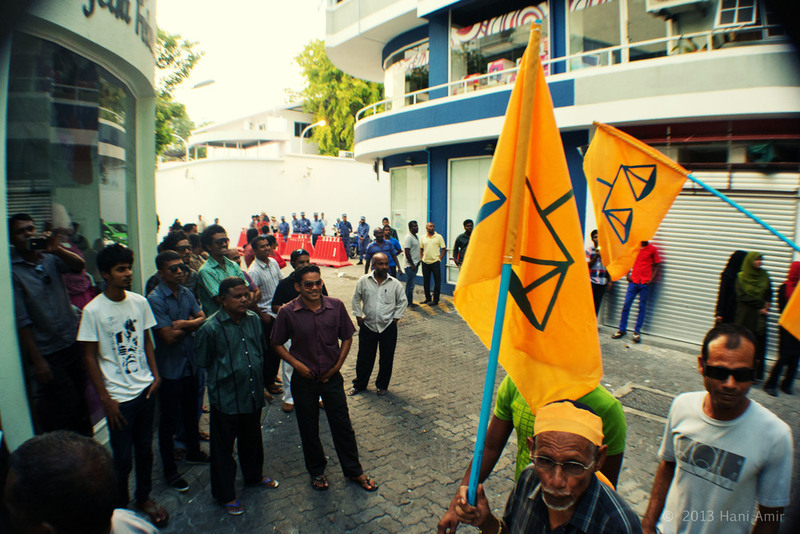 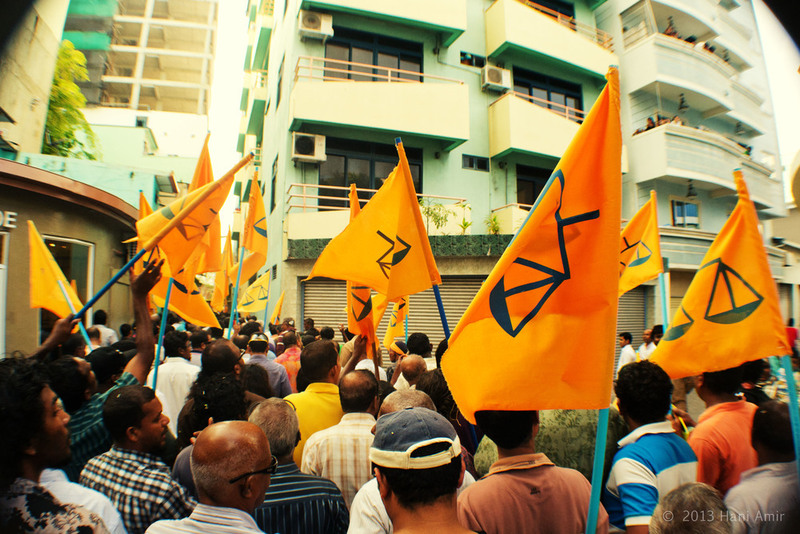 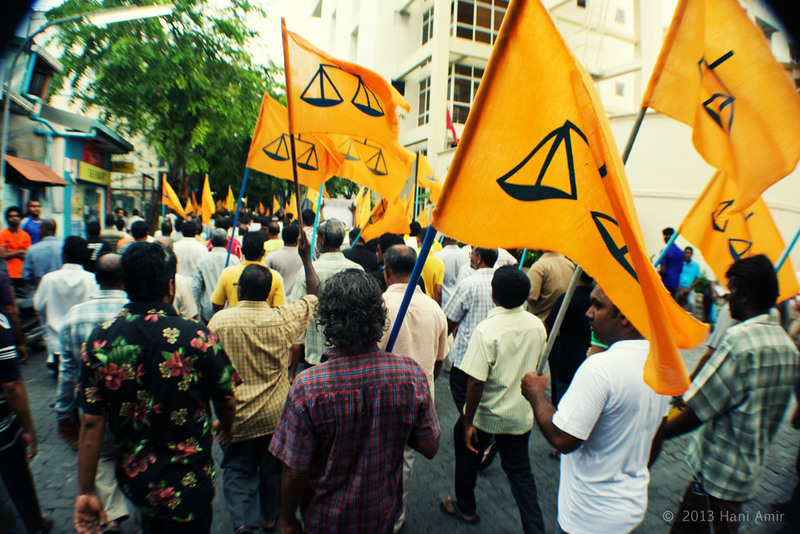 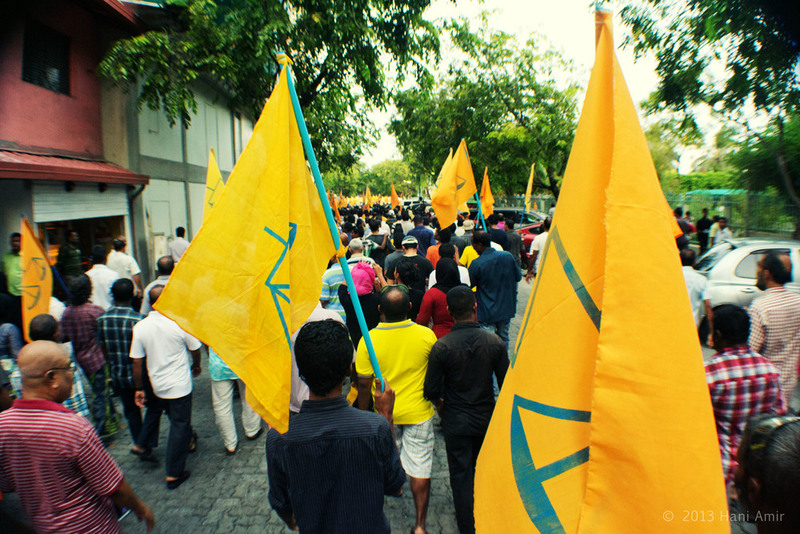 The Maldivian Democratic Party (MDP)s protest rally today (25th of January 2013) in which they walked around the capital in comdemnation of the coup. 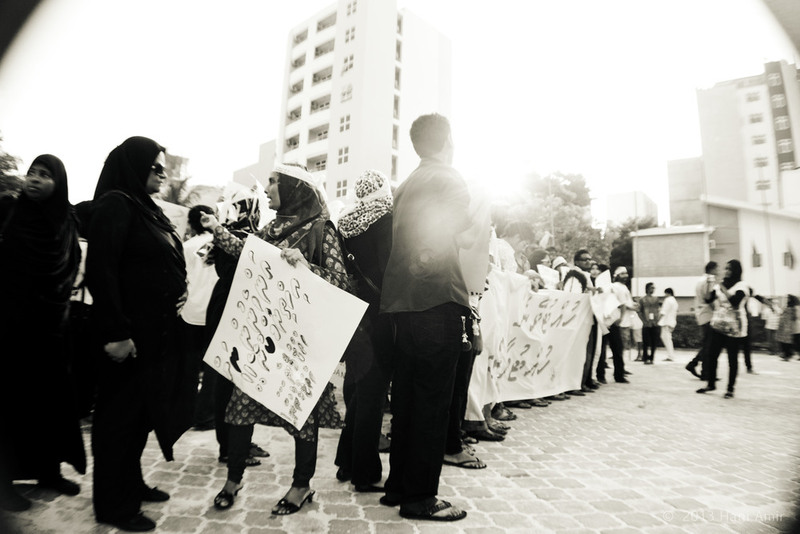 It also involved the handing over of a petition to parliament (with over 3000 signatures) demanding further inquiry into the events of Februray 7th 2011, the day of the coup. 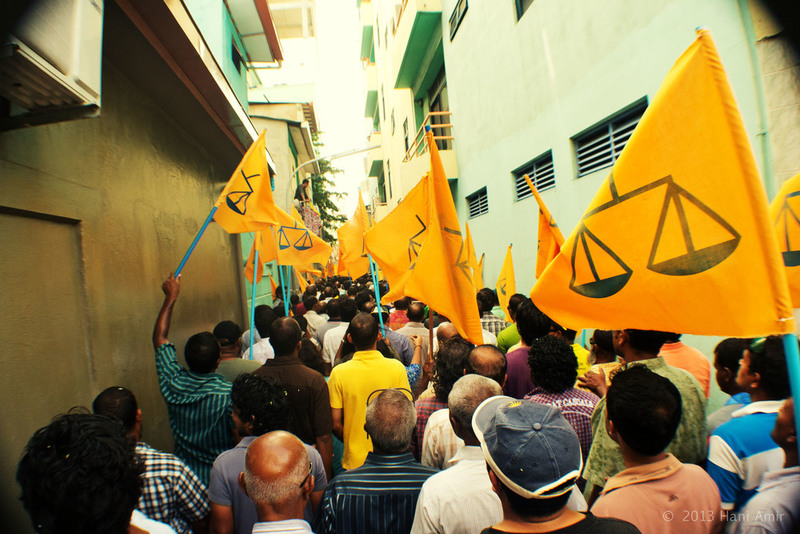 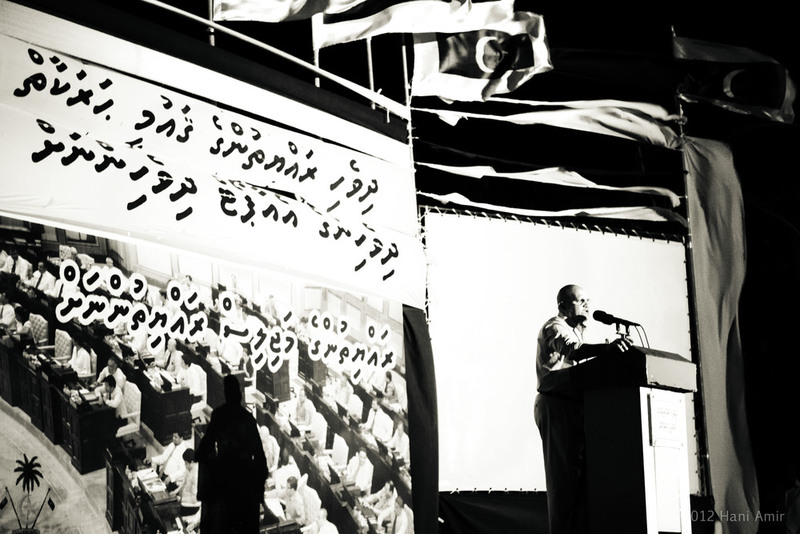 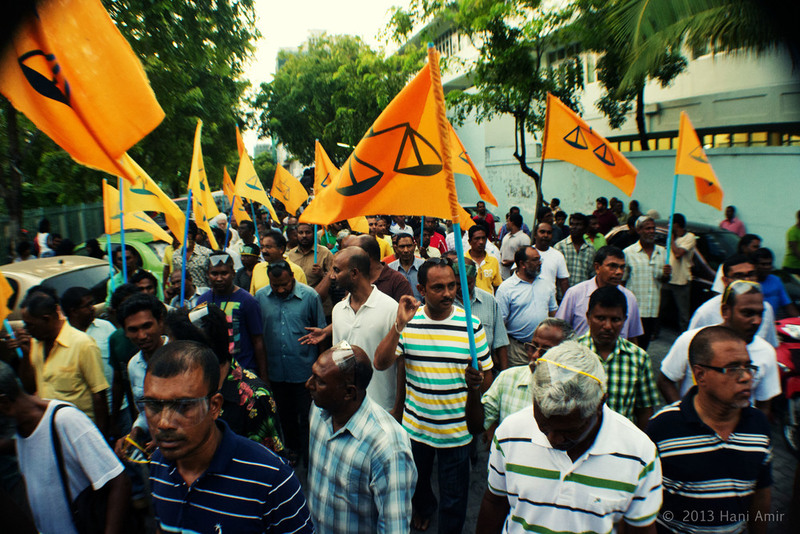 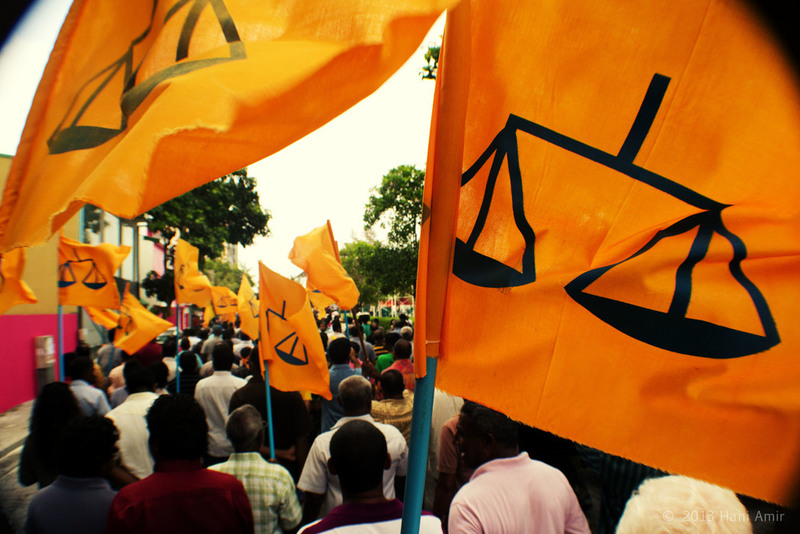 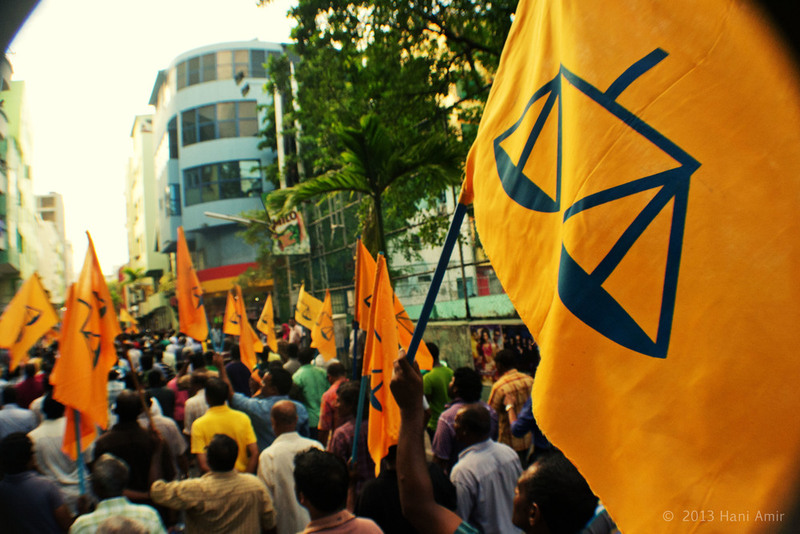 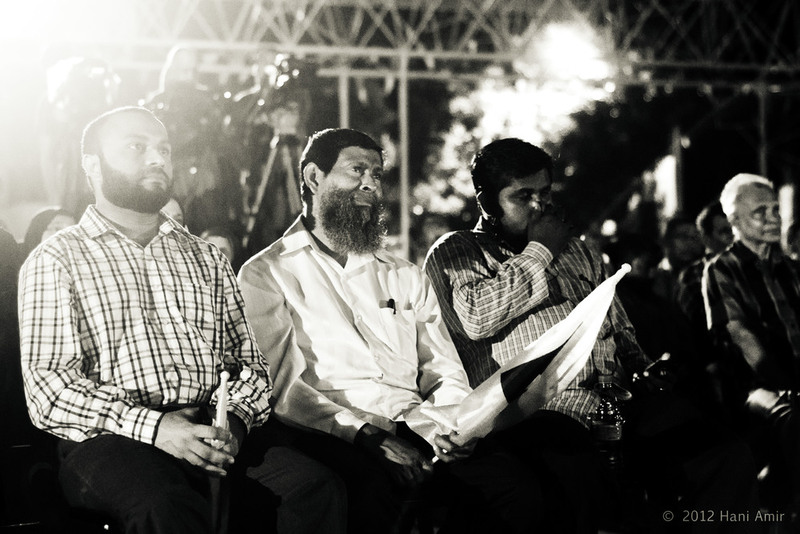 The rally was attended by many hundreds of MDP members and citizens who were against the coup.